We are so excited participate our first Sacramento King’s, Getty Owl Foundation Fundraiser. 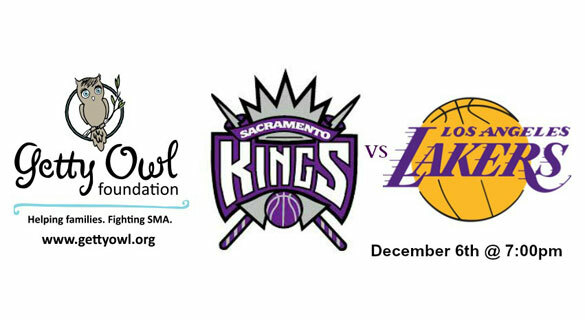 Join us December 6th, at 7:00pm when the Kings play the Lakers. We are also given an incredible opportunity to watch the Kings warm up before the game at 5:00pm.